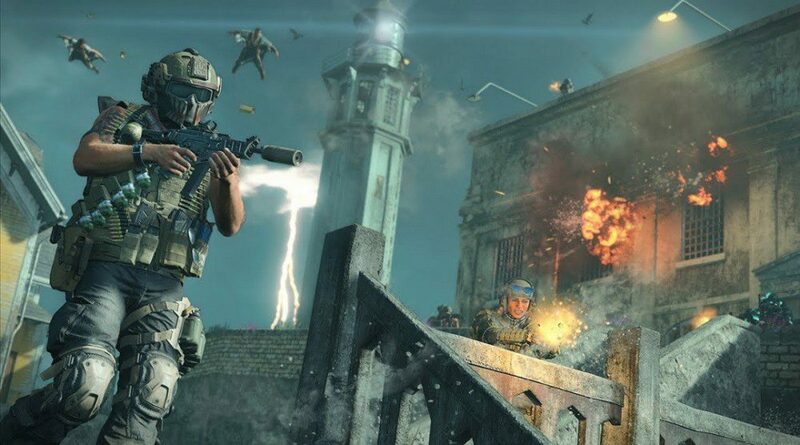 Call of Duty: Black Ops 4‘s battle Royale mode, Blackout, has received its first new map and it takes fans of Call of Duty zombies back to a very special place: Alcatraz. Here’s everything you need to know about the new Alcatraz Blackout map. To download the Blackout map, you must first be on PS4. That’s because as of release — April 2 — Alcatraz is exclusive to PS4. Fear not, PC and Xbox One players. With past content drops, the exclusivity only lasted a week so it’s likely that by next Tuesday, all Call of Duty players will be able to drop in on the famed prison, regardless of platform. If you’re on PS4, go to the Black Ops 4 application on your PS4 menu screen. Press the Options button and select Update Application. After that, the next screen will either tell you that there is an update or that the game is up to date. If it’s up to date, you likely have your PS4 settings set to auto-update, meaning you have the Alcatraz map already download and ready to go. If it says there is an update, select the option to do so and wait for the update to download and install. After that, you should be set. To install the update on PC and Xbox One when it releases, update the application as you would any other update. To actually play on the Alcatraz Blackout map, load up Call of Duty: Black Ops 4. Select the Blackout menu button to be brought to the main Blackout menu. Here, you’ll need to go to Select Playlist and select Alcatraz Portal — Quads. That will load you into the Alcatraz playlist. Select Deploy and you’re all set for a drop in the new Blackout map. For anyone wishing to play on Alcatraz in solo or duos, sadly, that isn’t yet available. Even more, don’t expect Alcatraz to be a normal round of Blackout — it has Wave Redeploy rules actively engaged meaning if someone on your team is still alive, anyone on your team that died during that round will drop back in during the next wave. Currently, the Alcatraz Blackout map is only available on PS4. It released on April 2. There is no official word on the release date for this new map on PC or Xbox One, but if this update is like past updates, PC and Xbox One players will likely receive the map a week from April 2, which is Tuesday, April 7. When you jump into the Alcatraz map, you’ll immediately notice how different it is. Instead of helicopters, everyone drops from a strange, red portal in the sky — something akin to zombies more than Blackout. This portal isn’t too high up so expect to drop significantly quicker than on the original Blackout map. This map is also significantly smaller too so you don’t need as much time to drop. When you’re able to, open the map and check out the named locations. As is usual in Blackout, those named locations are going to be the best spots to land if you’re hungry for loot. We dropped in the outskirts of the map and on the eastern beach side and didn’t find much loot, although one might find the occasional trauma kit — a beached boat had a trauma kit two of the three rounds we dropped there although that might be a result of RNG luck as loot spawns in randomly. After you drop, you should follow the same Blackout rules of engagement that you would on the original map. Watch your back, stick with your team — this is quads after all — and loot as fast as you can. There are only 40 players per round which roughly equates to 10 quads of four, although you might run into a three-person team with No Fill on. While there are less people on the map, the circle closes in a lot faster than usual so expect combat engagement early on. If you die, don’t fret. As long as someone on your team survives the round, you’ll drop back in from the portal with a Strife pistol and reflex sight in hand. As the game nears the end, the round symbol at the top right will show an X which means there will be no more respawns. Put your all into this final round to come out the battle royale champions. That’s it for Black Ops 4’s Alcatraz Blackout map, including how to download and play the Alcatraz map, what the release dates for it are and tips for how to play the new map. For more information about Call of Duty: Black Ops 4’s Blackout, be sure to check out our Black Ops 4 Guide Wiki. There, you’ll find tips, trick, walkthroughs and more to help you be the best you can be at Treyarch’s latest Call of Duty entry.